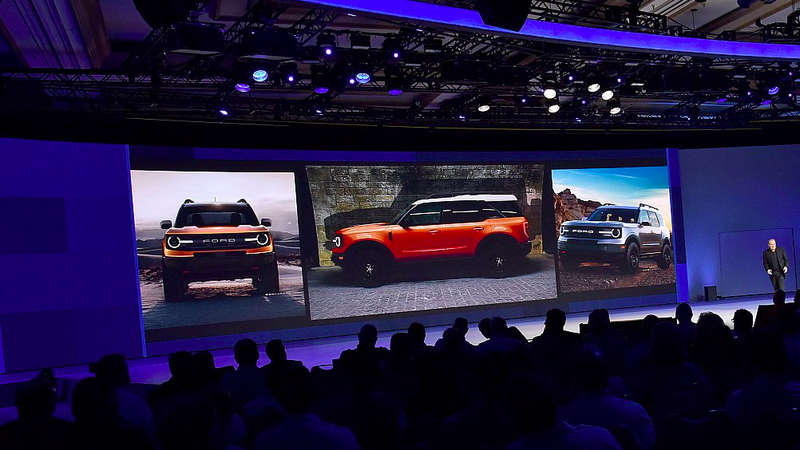 For years now we’ve been patiently waiting for Ford to disappoint us with a new generation of the classic Ford Bronco, some watered-down flabby design that won’t match the original’s chunky looks. Well, we were all wrong. Ford has been giving us some info on it, that it will be a crossover more than an SUV, and based on the Focus Active platform. Found on a publicly accessible part of a Ford website hosting pictures of the 2018 dealer meeting in Las Vegas, these pictures give us a dandy look at the new Bronco. But it’s the looks that have me amped. It’s like the FJ Cruiser is back, or a Flex that’s not gigantic. We have reached out to Ford for comment and will update when we hear back.